Please notice how the two gentlemen not only appear to be urinating on the map of the Czech republic, but also seem to write something on it (what ever it may be). 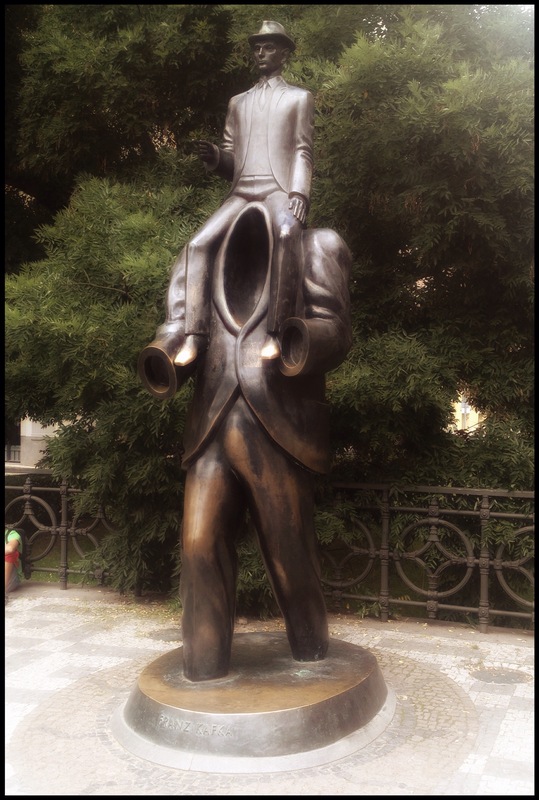 This bronze sculpture by Czech sculptor Jaroslav Róna stands between Prague’s Church of the Holy Spirit and its Spanish Synagogue, in the city’s Jewish quarter. 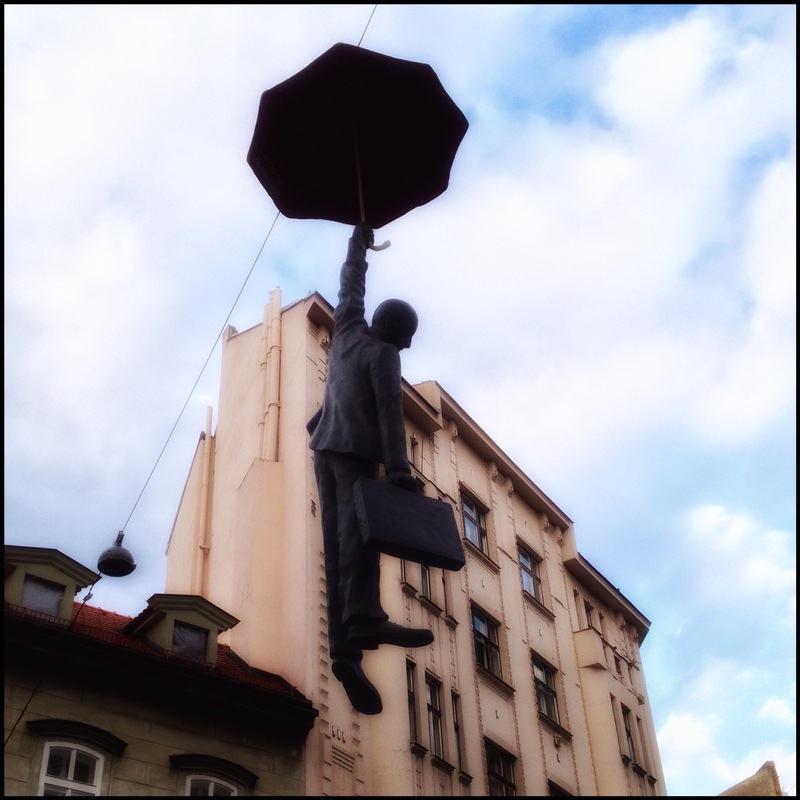 K for Kultura – or Kafka, if you will.